Nuneaton vs Coventry…is there really much difference for your BTL investment? 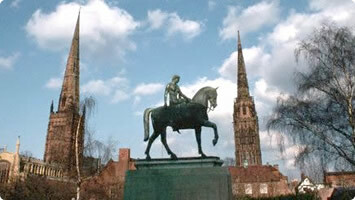 We get numerous landlords asking us which areas are best to buy in..Nuneaton,Bedworth, Coventry even? Well the answer is, in all fairness there isn’t a whole lot in it when it comes to numbers and yields. I spent a bit of time looking for one landlord in particular and produced a comparison report which I thought might be of interest to you guys, so pop the kettle on and get comfy… and feel free to let me know if you have of your own thoughts on the matter. I selected two houses, both of which are similar size, one in Coventry and one in Nuneaton but both of which in similar areas. The first house is a 3 bedroom ‘semi-detached’ on Queens road in Nuneaton. It is on the market currently for £124,950 with Pointons. This house is a good size and has lots of potential but it needs substantial modernising in order to get the higher level rents and interest from the types of tenants we all aspire to have. I think if they were to accept an offer of £120,000 and you had a budget of £10,000 to fix up the house, that would be more than sufficient in order to then charge a monthly rental of £650/£675. This would in turn give you an annual yield of 6.23% which in the grand scheme of things isn’t bad, but the same if not better can be achieved by investing less money and charging slightly lower rent on for example- a 3 bedroom terrace in Stockingford. Location does play a huge factor in house prices as we all know, and with queens road being so close to town it is reflected in the asking price. It will also be very appealing to renters who working in and around town or even at the hospital as its all within walking distance. In the last 3 months the average price paid for a semi- detached property on queens road was£173,497 and the current average value is £176,956. So, even though the yield may not be as high as other properties, the value of the house once the improvements have been made will increase substantially, which lets face it… isn’t that a buy to let investors dream? The second house is on Newfield Road in Coventry. A 3 bedroom semi up with Joshi Estates with an asking price of offers over £150,000. This house is also in need of some modernisation, nothing a lick of magnolia and some new carpets wouldn’t fix. 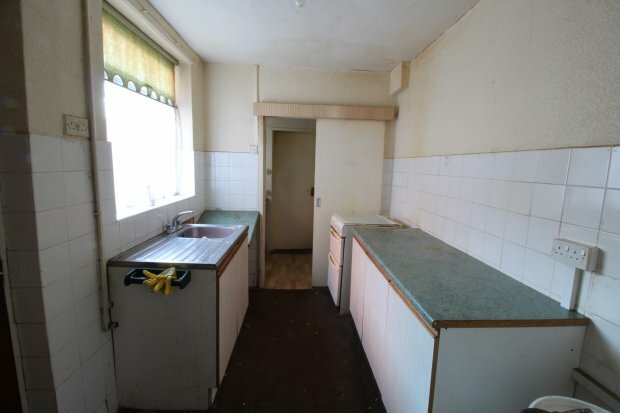 The kitchen and bathroom both look in good condition from the pictures. Houses like this in Coventry are renting for around £700-£750 PCM so going by the higher figure if you were to pay £151,000 for the property and spend maximum £2,000 on it, your annual yield would be 5.88%. However, like with the Nuneaton property, if you look at the average price paid for a semi detached property in this area over the last 3 months according to zoopla its £247,750 with a current average value of £177,468 . These figures are only a guide according to the area and similar properties shown, but it gives you an idea of the area and what you are getting for your money. Coventry and Nuneaton are very much the same in terms of rental demands, no house will be on the market long and finding good quality tenants – done correctly- will not be an issue either, so void periods- in my personal opinion and experience- are not of concern in today’s market. To summarise, whether you buy in Nuneaton or Coventry or anywhere in between, unless you snap up a bargain at auction and are in the business of fixing up a property cost effectively, what you will achieve from your buy to let investment isn’t too different. In a previous article I spoke about the pros of living in the town/city where you have you buy to lets… but if you were to use a reliable reputable lettings agency to fully manage your property efficiently, you really could live in timbuktu and just enjoy the rent hitting your account every month! We had a phone call last week from a lovely chap, let’s call him Mr Talbott, who has been following the blog for some time and is thinking of investing in a Nuneaton buy-to-let but, he is a “novice” (as he called himself) and came to us seeking some advice and guidance on how to go about investing his money. His argument was (and rightly so) was that, if he put his money in a savings account, it would just sit there and earn him a minimal amount of interest. His wife is soon finishing her part time job and the rent that comes in from their Nuneaton rental will replace her income. He knows that property is the best bet for investing his hard earned money and it will reward him. He may be a novice but he’s certainly thinking on the right lines! So, he has £150,000 to invest in a single property but doesn’t necessarily want to spend it all. He will be a cash buyer and is looking for a 2-3 bedroom house that doesn’t need much work doing to it and will be a good renter. Now some people may be thinking that £150k could be deposits on a few properties and, indeed, it could. However, due to individual circumstances he is choosing to buy one property out right. Individual circumstances play a huge role in your investing decisions so take the time to think about your plans, do some research, pop in and have chat with us (we’ll save you a biccy). You may also want to discuss your options with a financial advisor. But, just do what’s right for you. In preparation for our meeting we gathered a few comparable properties for sale in Nuneaton to show Mr Talbott. We just wanted to show him examples of what’s on the market, location, the condition that they are in, what they can rent for and what the annual yield would be. He was pleasantly surprised with what we had presented him with. Of the 4 or 5 examples that we had printed for Mr Talbott, ranging from £90k to £130k, the 3 bedroom property close to the town centre for £90,000 would give him the best annual yield of over 7% even IF he chose to spend a few thousand modernising the kitchen and bathroom (but not absolutely necessary). We discussed the pros and cons and compared it to the other properties that were for sale in his price range but, this particular property seemed to keep coming out on top. He then said that he and his wife had discussed downsizing and, that in time, they may move into the rental property. When you purchase a buy-to-let you need to be completely detached (if you know what I mean). You can’t think “will my sofa fit in here?”, “I don’t like the colour of this kitchen”, “The garden isn’t really big enough”. I’d like to think that most people can detach themselves but I also know quite a few that have bought ridiculously expensive buy-to-lets because that’s what they would choose or they have spent DOUBLE the budget on renovating because “that’s how I would’ve had the bathroom”. This new information changed everything. Although the £90,000 terraced was a perfect rental it was probably not the best downsizing option from a 4 bedroom detached house in Whitestone. We decided to look at 2-3 bedroom semi-detached properties in Maple park as a comparison but they were either over budget or the annual yield was incredibly low. 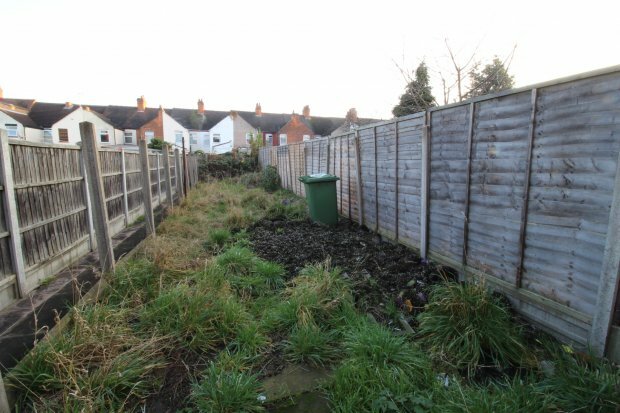 It was clear that Mr& Mrs Talbott had some more thinking to do in order to really clarify exactly what they wanted in their Nuneaton property investment. I’d like to think that we helped open his eyes to the wonderful possibilities of Nuneaton property investment. It’s always useful to discuss something like this because you’ll find that people help you to think about exactly what is important and why you are doing this. •	Is it more important to have a higher annual yield or a better return after a few years? •	Is this a short term or long term investment plan? •	Who is the house for? Tenants or you? If both, what should you consider (renovations, budgets etc)? •	Where do you want it? Why? •	What do you want (house, flat, how many bedrooms)? Why? •	Is everything in place for you to purchase? •	How will it affect your Tax? If you want any advice on anything featured in this article or for anything else Nuneaton Property related, please feel free to give us a call on 02477 674 545 or pop into our office on Bond Street, Nuneaton (under the archway next to Oasis Dental Practice). Renewed Confidence in the Nuneaton Property Market! I was thinking this morning how fast the festive season flew by, and it made me remember a lovely catch up I had with one of our landlords just before Christmas. I went for a lovely festive hot chocolate at Costa and bumped into a lovely chap who came to us about a year ago for a Tenant find service and we got talking about the Nuneaton property market. 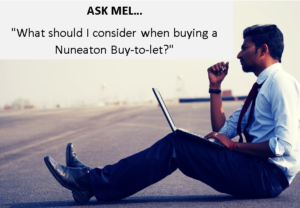 I had just completed my research for my next blog article and I would like to share with you the parts of the conversation relating to the Nuneaton property market. He asked me what my thoughts were about the last half of the year in regard to the Nuneaton property market and if there were any great buy to let deals around. In reply I said that, in my view, shrugging off the uncertainty of the initial post Brexit vote, I have seen an increase in supply and a rise in the number of properties selling at the lower to middle end of the market, meaning both first time buyers and buy to let landlords have been returning in the last few months – proof the market is beginning to bounce back. In the last 12 months, Terrace houses have increased in value on average of 9% from £114,601 in January 2016 to £125,022 inJanuary 2017 with a sales increase of 8% over the same term with a total sale of 404 houses in the last 12 months. Similarly, detached houses have increased in value by just over 10% and with a 37.8% increase in sales! With 517 being sold in the last 12 months. 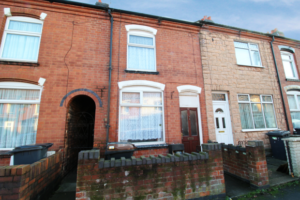 Most buy to let investors, especially first timers, will be in the market for a 2/3 terrace property in and around Nuneaton town centre looking to give them a rental yield of around 7%. Looking at the average house price figures for terrace properties, it is important to take into consideration there are still a lot of deals to be had, and a lot of ‘projects’ available for those willing to take them on. This in turn means you could in fact purchase said terrace house for around £90k and spend £10k making it into a very appealing rental property which would then allow you to ask the slightly higher rent and the end result being an even higher yield! 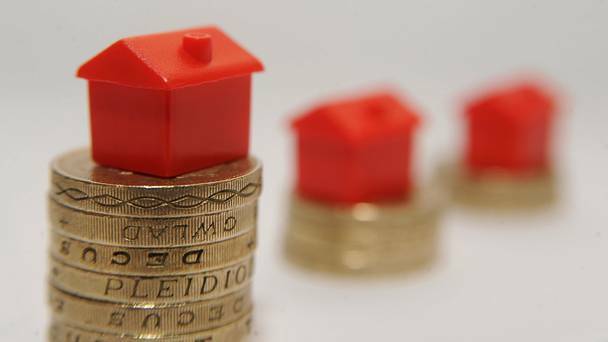 Potential buy to let properties in Nuneaton are being snapped up before you can even calculate your possible annual yield these days, so my advice would be not to hesitate…you snooze, you loose! As the number of Nuneaton properties put up for sale has gone from 5%to 11% in the last year, homeowners have become more realistic about how much their homes are worth. This increase in homeowners wanting to sell suggests there is renewed confidence in the Nuneaton property market and there are also signs that people are being more realistic about pricing their property. Stockingford Trainstation?…can only mean good things for BTLs in the area! 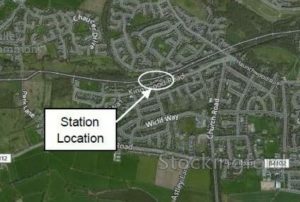 I read this morning that there are plans which have just been backed by councillors to rebuild a once existing train station in Stockingofrd. 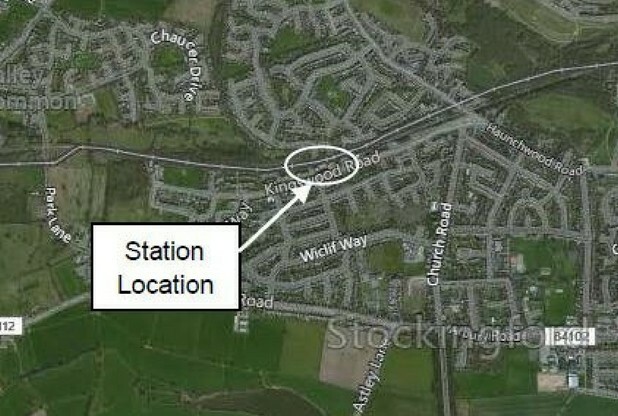 The new station would be less than a mile away in Kingswood Road, consisting of northbound and southbound platforms linked by a footbridge, with pedestrian and cycle route to Kingswood Road and Whittleford Road and a car park with 50 spaces according to the Coventry Telegraph. If it goes ahead, the new station, which could open as early as 2023, would be on the Cross Country route to Birmingham, with one train running per hour initially. So what would this mean for Landlords who have or who are looking to buy properties in this area? Well…. It can only mean good things! A commuting link to Birmingham will increase the number of people looking to move out of more expensive areas such as Birmingham and even as far as London, especially with rail links from Birmingham to London improving continually! It will also mean people currently renting in Nuneaton will be more encouraged to live in Stockingford, which unfortunately, holds a certain stigma amongst locals as being not as desirable as other parts. I manage properties all over Nuneaton, and can assure you that BTL properties in Stockingford are as high in demand as any other part of town and rents are also generally on par with the rest of Nuneaton also. Also, with the newly released plans to build a whole new estate in the stockingford area, the train station will be ideal for those who will be currently working other cities such as Birmingham and Coventry. 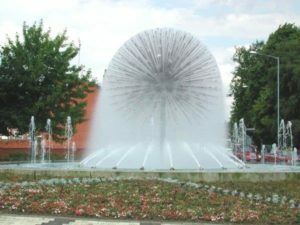 Nuneaton as a whole, needs a boost! With housing, industry and a huge focus on the town centre in order to attract people to the town and into these new builds! Keep reading my posts and I will let you know of any further developments. If you would like to speak to me about any BTL properties you currently have, or if you are thinking of becoming a first time landlord, then please feel free to give me a call on 02477 674545 and I will help you with any queries you may have. 10 reasons to invest in Nuneaton, if you live in Nuneaton! We have landlords who live as far as South Africa on our books, and infact a large number of oversees landlords who have entrusted their home to us to look after for them while they are not around to do so themselves. We also have landlords scattered around the UK who have buy to let property in Nuneaton as well as our lovely Nuneaton based landlords also, and they all get treated- as do their properties- with the exact same love and attention that we would give our own private rentals! Being a buy to let landlord is a very daunting prospect for many, investing time and money into a property that is essentially your nest egg for the future, and understandably people are hesitant to let their home to Joe blogs and his family! We are here to reassure you that it does not have to be a stressful time and what you are paying us to do (with the fully managed package) enables you to quite literally sit back and just get the rent paid into your account without having to worry about anything other than what you can spend your profit on! 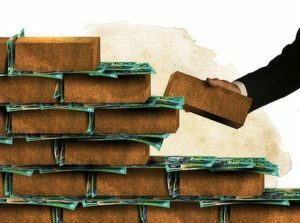 We credit check the tenant thoroughly in order to provide you with a rent guarantee and in some cases where a guarantor is required, they too are credit checked and referenced so that in the event that the tenant should become sick or loose their job, there is peace of mind that a compliant guarantor is there as a back- up. We carry out regular inspections on the property, providing you with a photographic report which gives both you and the tenant peace of mind, as it is the perfect opportunity for them to let us know of any issues or concerns they might have with anything that they may have thought too trivia to call us and tell us about – sometimes it’s the initial trivia things that then can escalate into the very costly major things, so we address every issue/concern straight away. My personal view is that, for a novice investor, it’s best to start close to your home patch. It will also be determined whether you are self-managing or using a fully managed lettings service. 1. You know the area and feel comfortable with it. You know which streets to avoid, which are the good schools, where the transport links are etc … and nothing beats “local” knowledge. 2. 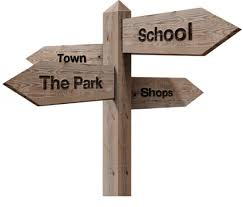 You can spend time walking the area, building relationships with local estate and lettings agents. 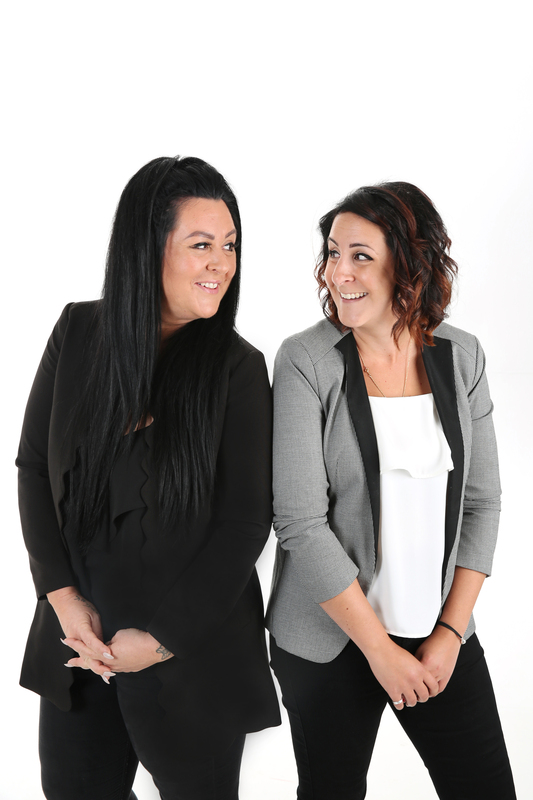 Property is a people business, and knowing the right people to support your property journey is absolutely vital. Nothing beats face to face contact and building rapport with people who can advise and support you. 3. You can take time to view other rental properties in the area as part of your due diligence and get a feel for the market and standard of housing being offered, so that you know where you are going to position your property in the marketplace. 4. You can visit prospective properties at different times of the day to see if they are affected by noise, parking issues,school run/rush hour traffic etc. 5. You can network at local events with local landlords to learn from them. 6. If a bargain property does appear on the market, you can be one of the first to view. 7. Once purchased, if something goes wrong with the property or the tenant you can be on-hand to deal with it. If you are having refurb work done, you can check on it regularly to ensure it is proceeding smoothly and on schedule to the desired standard. 8. You don’t have to rely on a third party’s information and can get facts for yourself. I once heard of an investor who had a flat up north that the lettings agent told him he could not let out. The investor was in the area one day and decided to pop by the flat. He found that the letting agent had given the flat to a lady friend so he could visit her easily! 9. Investing close to home allows you to self manage, saving money on lettings agents commissions and increasing your monthly net cashflow as a result. 10. It doesn’t matter if you forget the keys. You can pop back home! Whether you are a Nuneaton Landlord, near or far, we are here to help you with your buy to let investments. Please feel free to either pop in and see us on Bond Street, or give us a call on 02477 674545. Star buys have been few and far between of late, but I really wanted to share this one with you. I myself have BTL properties on Stewart Street and the surrounding streets and know for a fact they will be snapped up by renters in the blink of an eye. Not only that, but with its town centre location you can expect that little bit more on the rent. This 3 bedroom terrace house is on the market for offers over £90,000 with springbok properties, and looking at the pictures there is a fair bit of work that needs doing to it, but like I always say- if you are in the trade or have good contacts this can be done in a very reasonable budget. If you allow yourself £10,000 to do up the house – new kitchen, bathroom, redecorating and modernising and possibly looking at the central heating ( as its partially central heated). 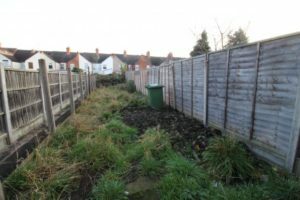 With a great sized back garden that has lots of potential, this house due to its location will appeal to families looking to get their children into the catchment schools, as well as the working professionals at both George Eliot hospital and the town centre – both of which would be a 5 minute walk. For commuters it is also ideal, and as I have mentioned in numerous articles previous, with the new transport links from London being developed, houses on this side of Nuneaton are going to become VERY appealing to Londoners looking to move out of their extortionate box room in London to pay half the rent up here, and just commute to work! So back to the figures. If you put an offer in for £90k and it was accepted, you then spend £10,000 fixing the house up to a high standard ( with low costs) you could at this present moment look at a rental income of £650 a month, this would in turn give you an annual yield of 7.8%. Going forward 18 months, with the new transport links, imagine we are then able to charge say £800 a month on that same property… your yield will be 9.6%!! its just a no brainer really. If you would like to speak to me more about this property or any other, please feel free to give me a call I would love to hear from you : 02477674545 or pop in and see me on Bond Street Nuneaton, our office is right by the train station. 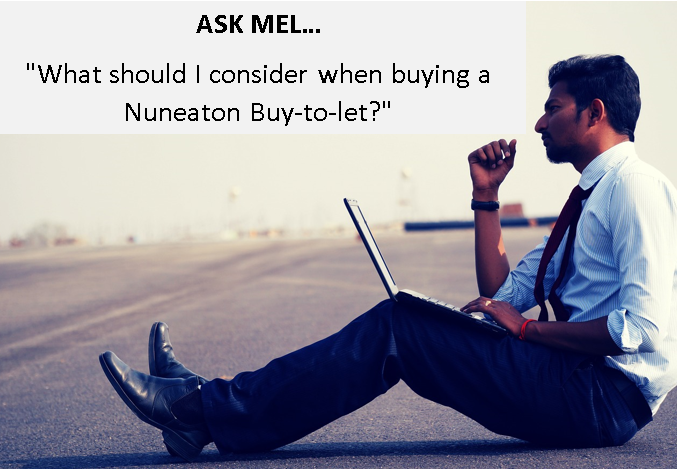 Do I or don’t I become a Nuneaton property investor? ?…I say DO! Happy New Year to you all, and what a happy year it could be, especially if you are considering investing in the Nuneaton property market! With all the ‘negatives’ being thrown out there over the past few months, I personally believe that investing in property for BTL is still a great way forward whether you are a first time investor or looking to build on your portfolio. There are objectives that Landlords often have, and I wanted to highlight them in this article and give my thoughts on how I and you too could overcome them…..
Q: Investment properties. Why bother? A: Through all the years of investing and helping others to acquire investment properties, I rarely heard anyone say they had a burning desire to look after tenants. Why do they do it? These people all have one thing in common: clarity. They are clear about their goals and about what motivates them. They know that property is the best investment there is for building a secure and independent future. It’s simply a vehicle that gets them there faster, safer and… legally. Q: Isn’t it a lot of work to look after a property? A: Conventional wisdom says managing a property is hard. It’s too much work. It enslaves you. In my view, it’s actually the opposite. It does not enslave you: it will set you free. It is not nearly as much work as you may think. It all depends on your efficiency (just like any other aspect of your life – what some do in an hour, others take a week to do). This is why its so important to pick a letting agent who will deliver on all of your expectations and requirements. Ask for current landlord references, letting agents should be more than happy to do this to put your mind at rest that you are picking the right company to look after your investment! Q: If it’s so obvious, why don’t more people do it? What is holding them back? A: This question has puzzled me for years. I realised it’s all in the mindset. Nothing is more common in my business than hearing clients tell me: “I could’ve bought this one or that one last year and now look at it. Silly me. I missed the opportunity, I know I should’ve invested back then. It is too late now. I missed the boat now. It can’t possibly keep going up”. (I have to admit, I am not exempt from those inner dialogues: I never regretted what I bought, only what I could’ve and should’ve… but didn’t.). BTL opportunities are equal for everyone. It’s how people view their future, and financial freedom that separate those who achieve it from those who don’t. The scaremongering that is coming with all the government changes and implementations are part of life, after all nothing is ‘easy’, however like with anything if you can see past these ‘hurdles’ a future in bricks and mortar will be bright! That’s typical conventional thinking, In my view, it’s the exact opposite. I view my tenants as my friends, my teammates, my best clients. Why? Because they are paying off the debt I have taken on to buy an asset that is appreciating in my name. What other investment do you know allow you to borrow to buy an appreciating asset and have someone else pay it off? I respect my tenants, I am grateful to my tenants. I work to this way of thinking with my letting agency also, making sure both tenants and landlords know that they are not just a number, they are my reason for doing what I do, and from this positive outcomes are the only outcomes! Keeping on top of repair and maintenance issues as and when they crop up instead of ignoring them for months until they become so bad that they do cost more than that £60 pipe replacement you could have initially paid out for! Again, using a letting agency to fully manage your property knowing that they will carry out the work as soon as it has either been reported by the tenant or picked up on on the regular inspections that you as a landlord should expect your letting agent to carry out. With my letting agency I have a selection of local workmen for various aspects of work, who I have collated over the years and kept on our books due to their competency, efficiency and price! What if the tenant stops paying the rent or I have a void period? So many people fear this and, rightly so. Both of the above are frustrating and can cause a lot of anxiety and stress for landlords. My advice is be prepared! Letting Agents usually offer rent guarantee for the duration of the tenancy. It costs money but, trust me, it could save you thousands. If you don’t have a Letting agent then you should have Landlord insurance. Check the policy to see what is and isn’t covered. As soon as a tenant gives their notice (usually 1 month) or you given them their notice (2 months), get the property advertised straight away. Any good Letting Agent will do the same. This ensures that there is someone in place to take over the tenancy and means that you don’t have to shell out for a mortgage payment. I would also recommend, if possible, that you try and accumulate a ‘kitty’ of sorts which covers you in the even of a void period. You’ll be glad of it when the time comes. These issues can be overcome if you are prepared! If these are objectives that you face, please feel free to pop in and see us and we can talk you through what we do, in order to make the whole process as stress free for you when it comes to renting out your property… I think you’ll be very pleasantly surprised!